An X-ray splint used in order to calibrate X-Ray images compared to the size of a known object, such as a round metal ball. Why? 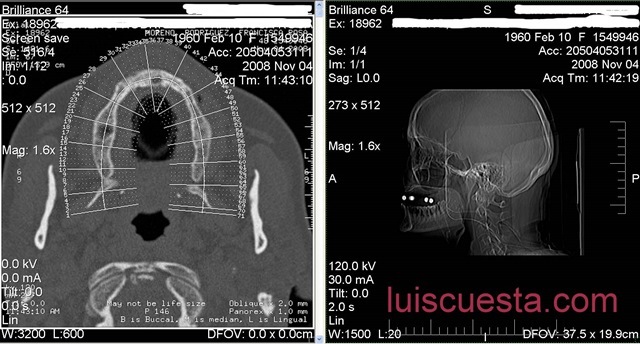 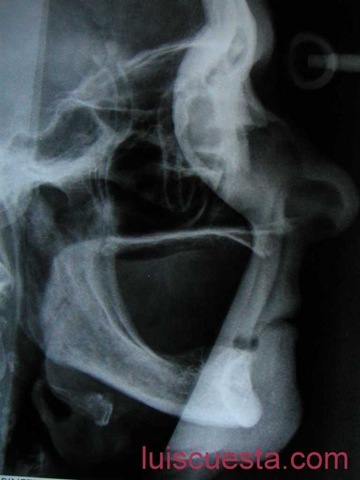 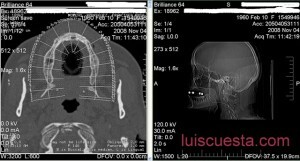 because X-Ray images are usually distorted and don’t show the actual size of bone structures we need to measure. The ball will appear round or ovoid in the X-Ray, but as it is a round object, we know that the maximum diameter in the X-Ray has to match the diameter we already know from its real size. 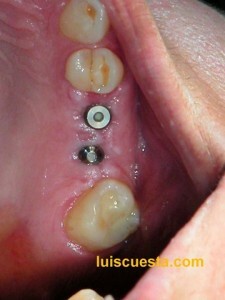 Is it always necessary? No. 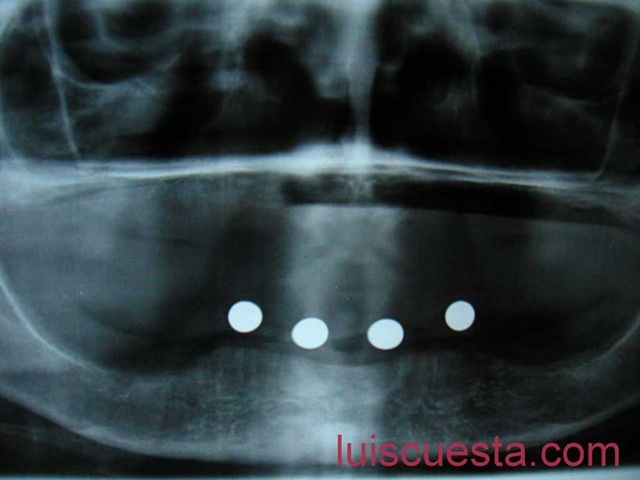 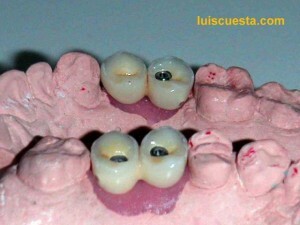 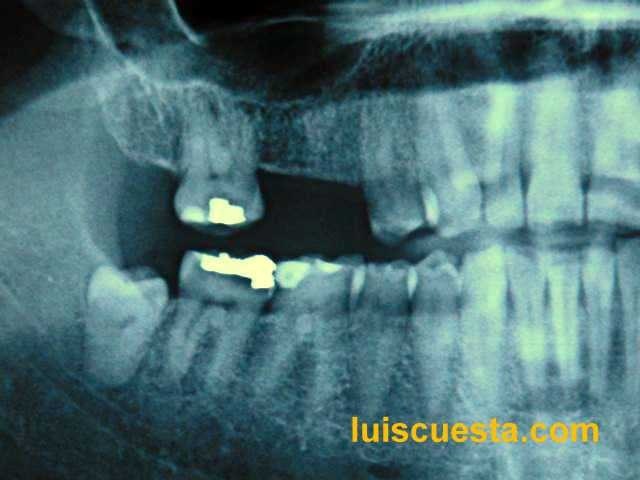 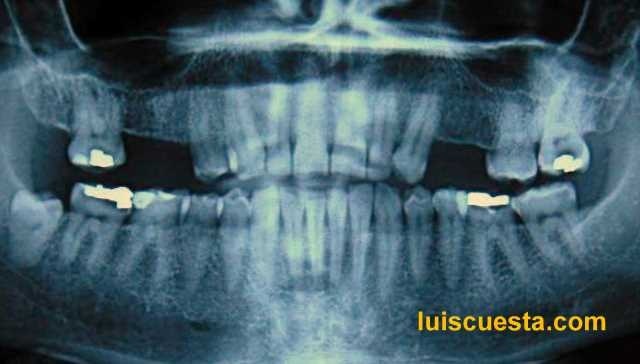 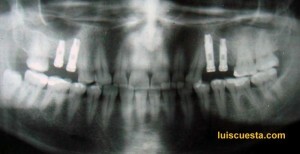 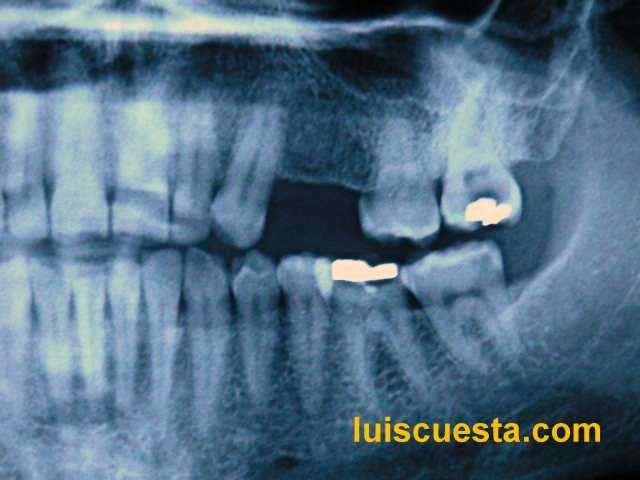 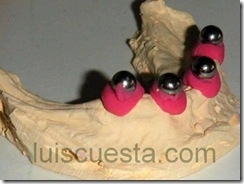 If the bone structures we need to measure still have remaining teeth nearby, we can calibrate with those teeth. 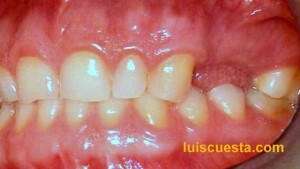 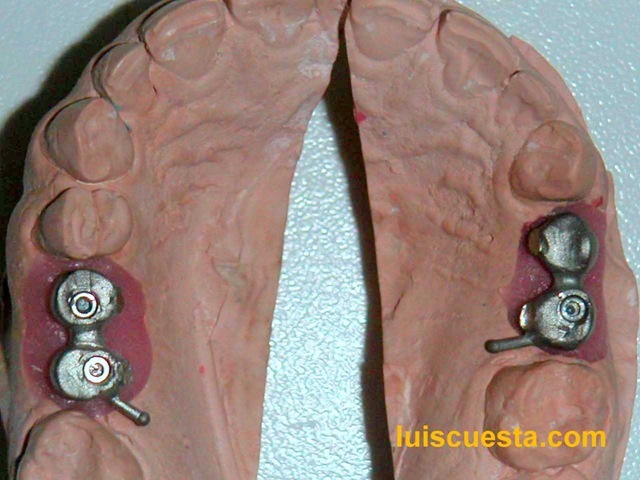 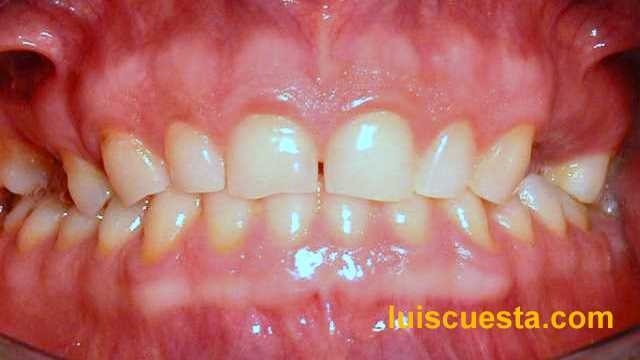 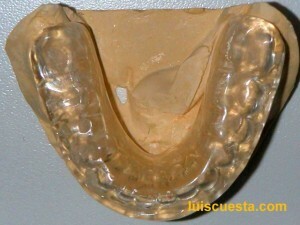 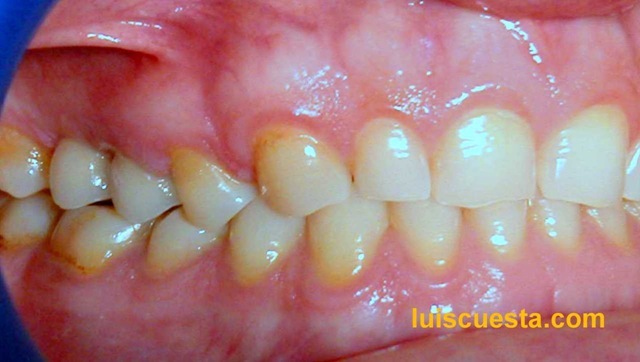 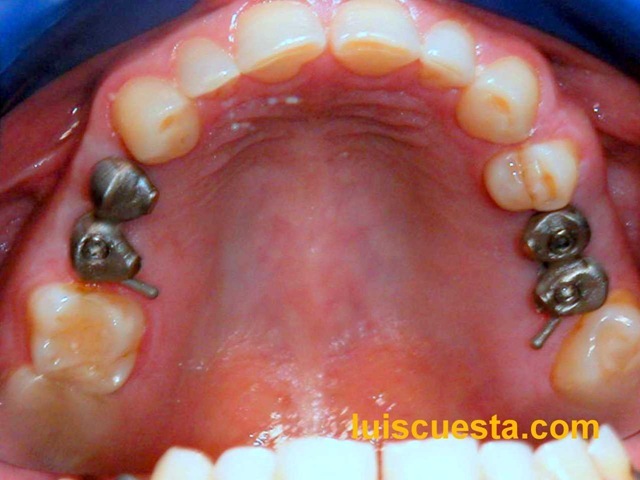 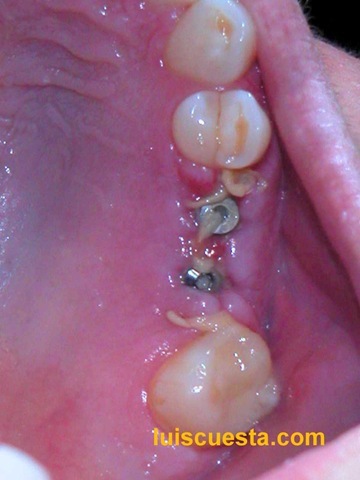 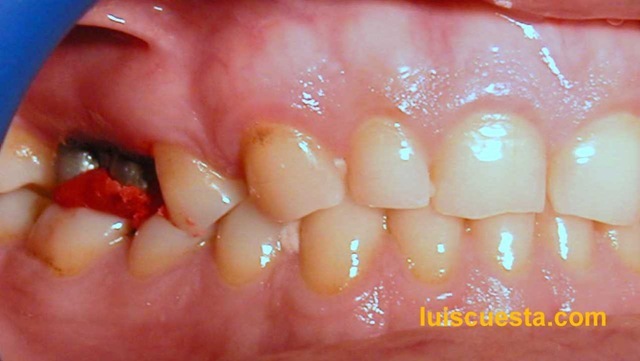 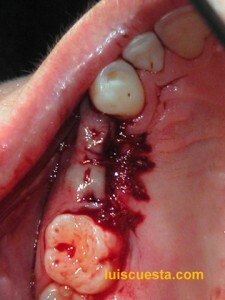 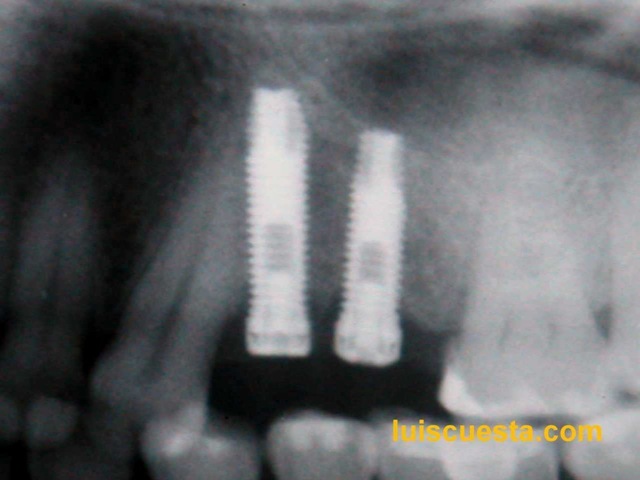 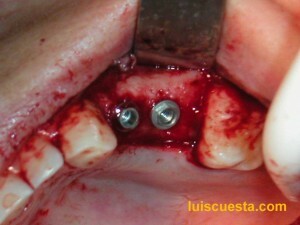 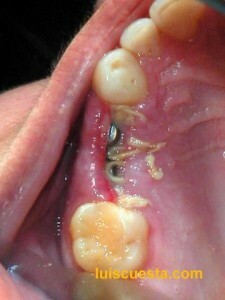 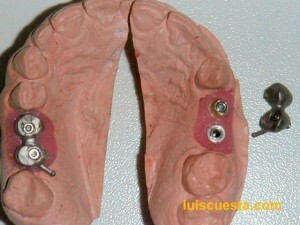 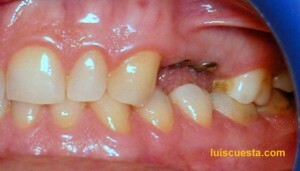 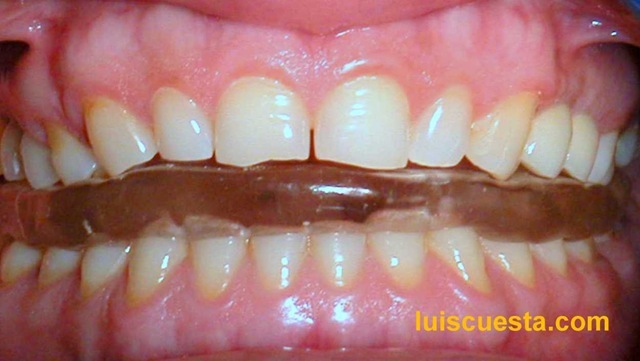 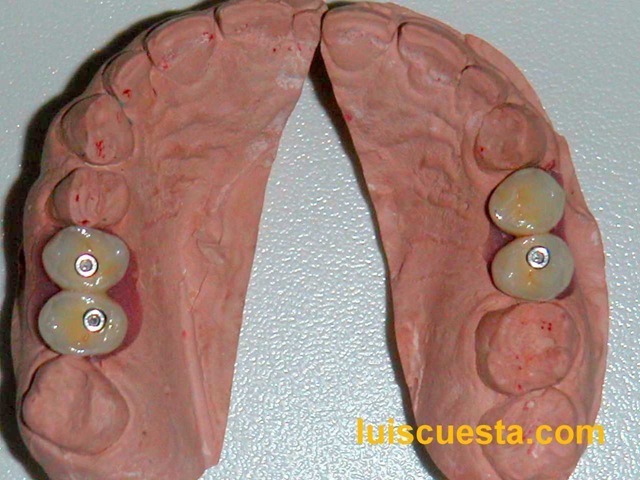 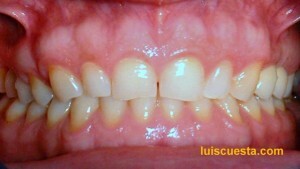 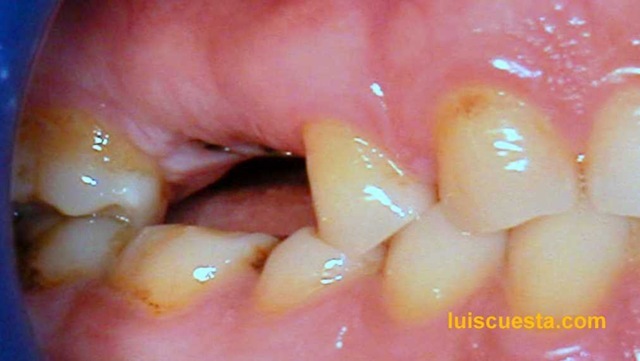 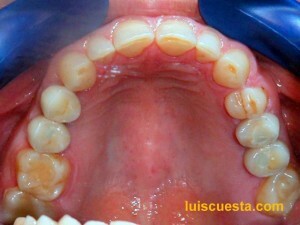 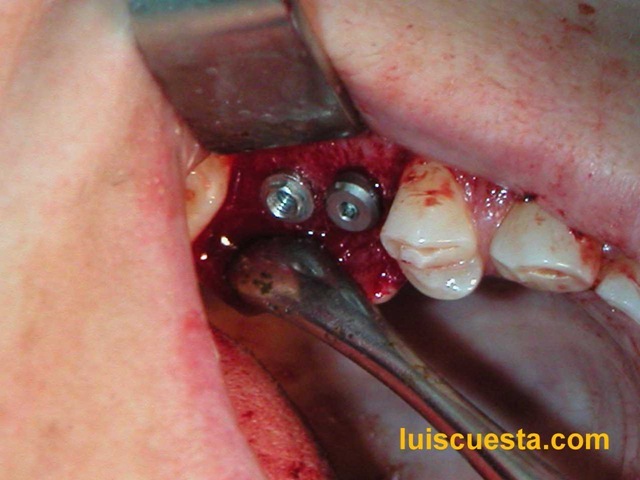 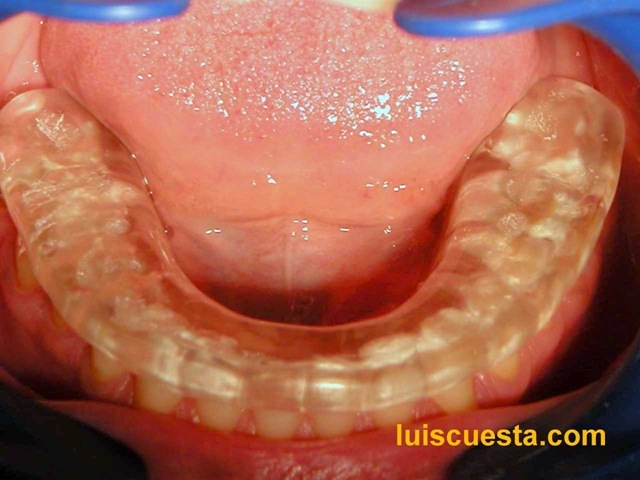 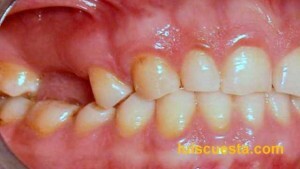 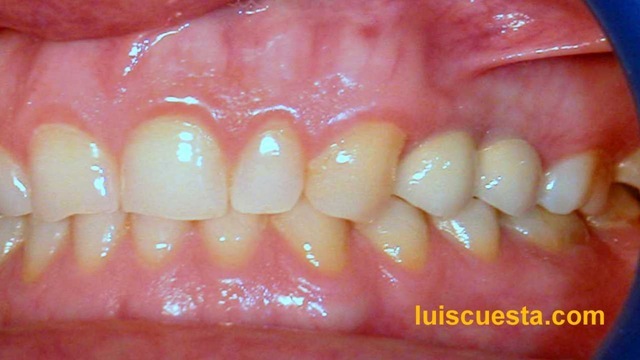 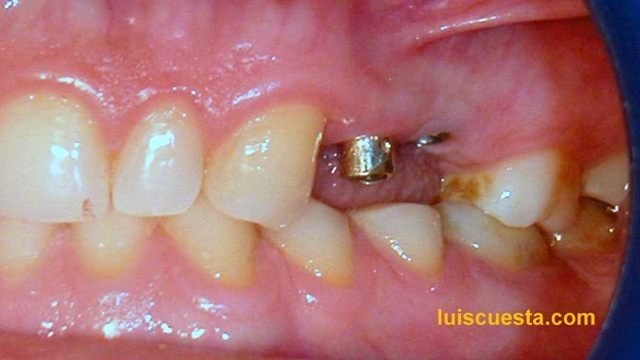 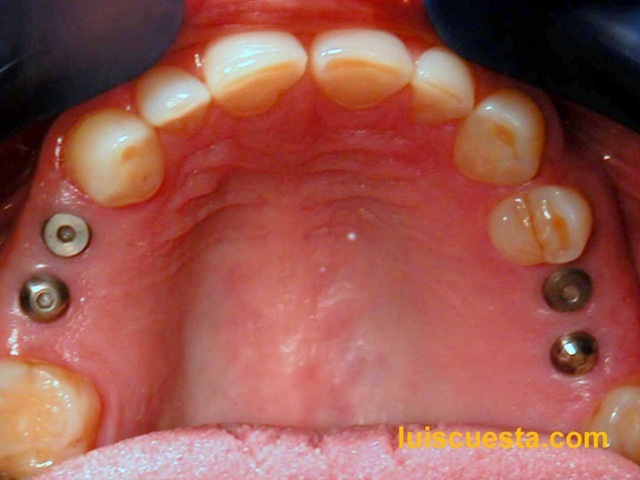 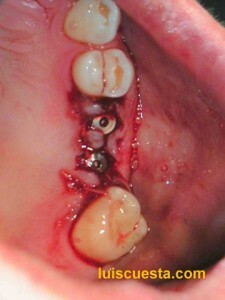 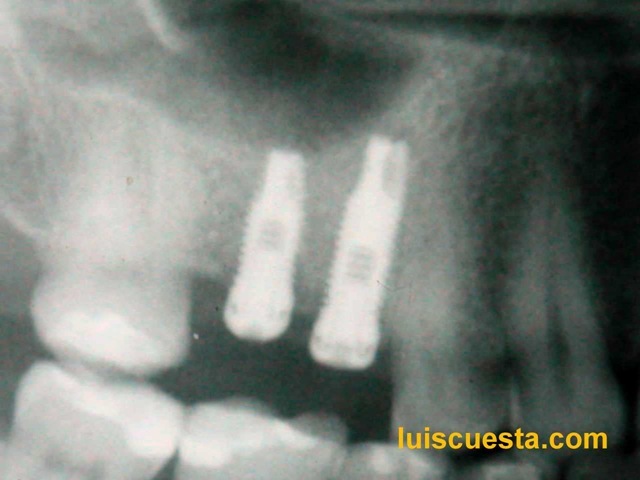 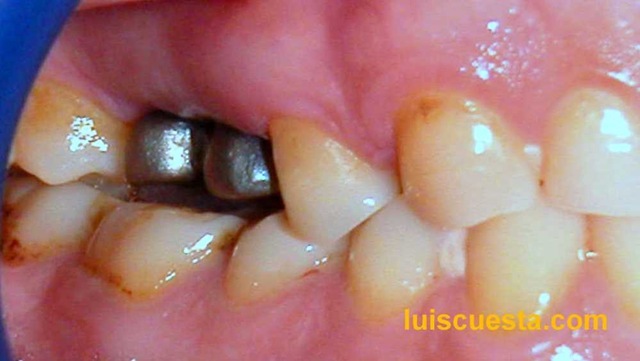 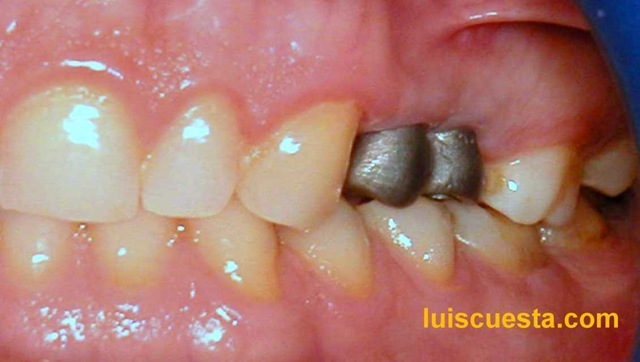 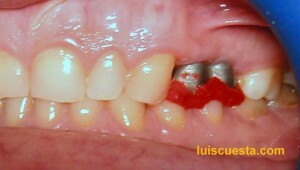 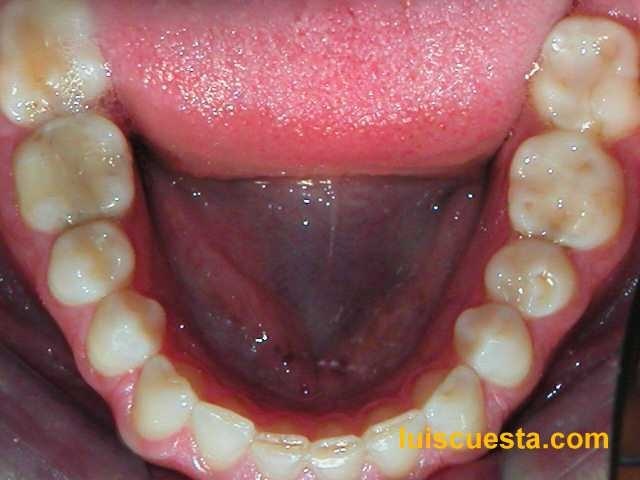 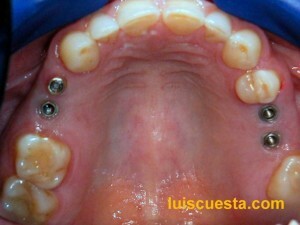 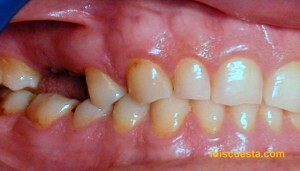 Therefore, it is most commonly used when none or few teeth remain in the jaws. 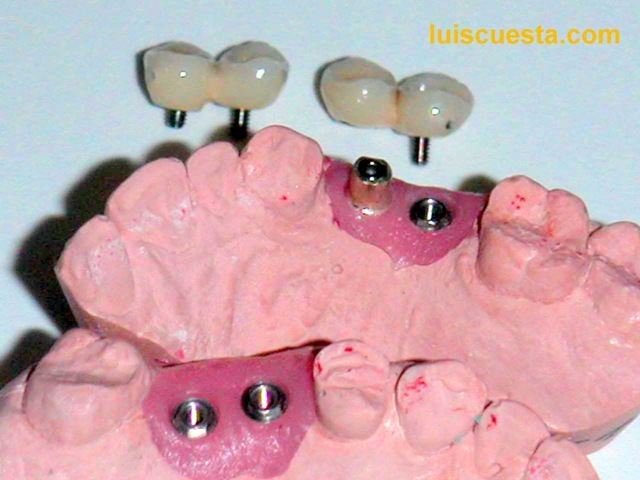 Balls are fixed on the cast in the desired position according to the estimated position where we want to set the implants. 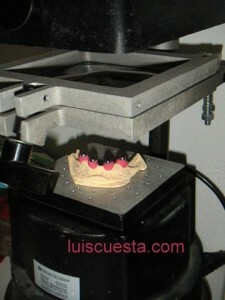 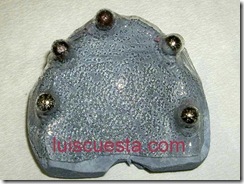 A thermo-vacuum machine is used to melt a plastic layer and adapt it tightly over the cast.